No part of this information is a substitute for legal advice. If you have questions or believe you have a legal case under Colorado Landlord Tenant Law, you should contact an attorney. There are many laws and judicial orders that govern tenants, landlords and rental policies everywhere in the United States. However, each individual state’s laws are separate from one another and can vary depending on the area. 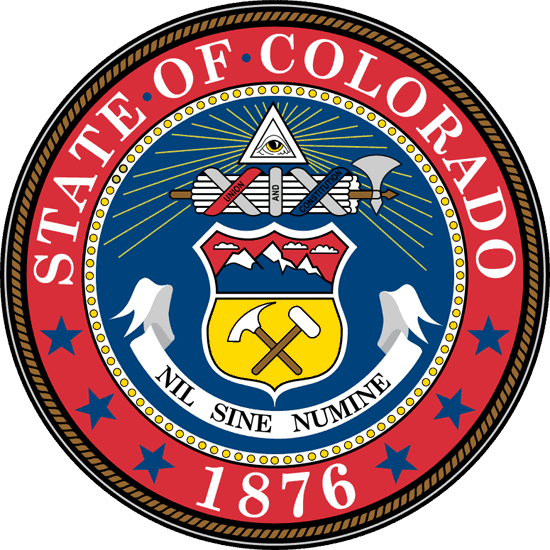 This article is only meant to serve as guidelines to help people better understand Colorado landlord tenant laws and should not be considered as actual law. The law in Colorado varies from city to city and may depend on the situation. Any lawful hearing should be done according to the state ordinances at the bottom of this article and each reader is responsible for his/her own findings. Stay up to date on Colorado Landlord Tenant Laws + Save money on tenant screening and other property management needs. Join AAOA today, it’s FREE! Before moving in, all tenants should take time and assess all of the damages or dangers that may be present in the property rental. Tenants should report their findings to their landlord, or else they may be held responsible for the damages/dangers and/or risking their well-being. If the damages are not reported, the landlord cannot be held responsible for any injuries that may arise. Those who are going to be renting should take pictures of the condition of the unit prior to their move in and get all repair requests in writing. This can help settle disputes in the future over damages or dangers in the property. Tenants must pay rent on time or they can be subject to fees and eventually eviction. Tenants must maintain their rented space, keeping it clean and without damage to any area of the unit. They will be responsible for damages aside from the daily wear of living. They must not alter the rental space at all, including painting and floor replacement, without the landlord’s approval. The presence of defective or hazardous gas-related equipment. Violation of quiet enjoyment of the tenant. Violation of a lease agreement. Common area repairs such as walkways and halls. Dangerous equipment related to the function of the house that could potentially cause the tenant to leave for their own safety. Landlords can and will be held liable for any injuries or mishap that results from their negligence in regards to danger or repairs that have not been taken care of. Landlords must maintain the Covenant of Quiet Enjoyment which states that the tenant is entitled to their own peace and quiet within their home. Because of this reason, landlords are not allowed to enter the premises of the tenant without a previous and sufficient warning. They are not allowed to interfere with the tenant’s daily life and comfort. The units must be kept up in accordance to the state and housing codes for Colorado. The landlord will be the one to decide on the amount of the security deposit which must be agreed upon as long as it is a reasonable amount. Landlords can charge late fees for receiving the rent either late and those fees are also to be determined by the landlord. A lease is a binding statement or agreement that takes place between the landlord and their tenants. It grants access and use of a particular rented area for a specific number of time. Leases are to be oral or written, with written ones to occur most frequently. It is highly suggested that tenants request written leases (as well as copies) in order to keep from getting into a legal bind concerning the lease and the landlord. The terms of the lease are able to be negotiated, but once the lease is signed, there is no backing out of the lease without penalty. In Colorado, written leases are required to any rental agreement longer than a month. They must be signed a minimum of a month before the move in or the beginning of the rental period. Tenants should be alert to different clauses in the lease which may remove some of their rights. They are encouraged to read the lease thoroughly before signing on the dotted line. Landlords are able to raise monthly or weekly rentals as they see fit. If they do raise the rent, the tenant must be given a week’s notice. Most leases state whether or not the landlord will be required to pay utilities or not. This must be followed with regards to the signed lease. If whomever is required to pay the utilities fail to do so, further action and penalty may take place. If multiple people sign on as tenants for a particular residence, each tenant is individually responsible to adhere to the tenant policies. If one person fails to pay the rent, the other is completely liable for it. Regardless of how the rent and damages are divided, both tenants will still be responsible for the penalties. The Federal Fair Housing Act states that it is illegal for any landlord to discriminate against families with children on the terms of renting a unit. In the same way, they aren’t allowed to refuse rental to any tenants or change their rental terms due to discrimination. This can include any reasons from nationality, religion and gender to race, disability (mental and physical) and marital status. If a tenant thinks they are being discriminated against, they can file a complaint at the Colorado Civil Rights Division. The need of repairing damages that go beyond the normal use of the house. Failure of the tenant to clean appropriately at the end of their residency. Any other reasoning that brings financial difficulty to the landlord outside of normal up keep of the unit. Normal “living wear” is determined by Colorado statutes as the basic deterioration that happens from simply living in regular conditions in the unit, without carelessness or abuse to the unit. This can include things such as worn-out carpet or door hinges, but does not include things such as shower mold or nail holes in the walls. Although Colorado Landlord Tenant Laws do not require that interest be paid on the security deposit to the tenant, if the deposit is kept in a bank account, the tenant may acquire the interest that has been accumulated. Landlords must return the security deposit within at least a month after the end of the lease, unless otherwise noted. The period still cannot exceed more than 60 days. Landlords have the right to take away any amount of money that the tenant may owe from the deposit, including repairs, rent or utilities. Colorado Landlord Tenant Laws require that the deposit must be returned, or a statement listing all of the itemized reasons and costs that the deposit is not being returned must be sent within the month. If a tenant vacates the premises before the lease is up, the landlord can apply the security deposit to the unpaid months. Likewise, if a tenant signs a lease but never moves in, the deposit may also be withheld. Termination is defined as a mutual agreement to end the lease. There are specific rules to govern termination depending on if a tenant has a year-long lease or a month by month rental. Landlords are in no way obligated to renew a person’s year-long lease. If a tenant has a year by year lease, they may not be required to give a notice, but they must be moved out by the beginning of the new term. Most long-term tenancies require at least a month’s notice in order for the landlord to rent out the property. State law requires that month-to-month renters give at least a ten day notice, prior to the final day of the rented month, to their landlord. If a tenant feels as though they are in danger for any reason related to domestic violence, they can terminate their lease without penalty. Eviction, also known as forcible entry and detainer is a process whereby a landlord takes back possession of property from the tenant with the procedure of the court of law. This can happen by force or by peaceful means. According to the Landlord Tenant Handbook of Colorado, a landlord can never evict their tenants without a court order. Despite popular opinion, landlords do not have to have a reason to evict their tenants. If a landlord chooses to evict the tenant on the basis of not paying rent, or any other actual reason, they must give the tenant a written 3-day notice and allow them that time to pay the rent. If they do not have a reason to evict their tenant, a written notice must still be given by the tenant in the amount of time stated on the lease. Not responding to a court order of eviction can lead to more judgment on trial, and potentially a hefty fine as well as the surrender of the property. The tenant can file a counterclaim against their landlord in the case that they feel they were wrongly evicted. If they win they may not only get their court fees covered, but also potentially monetary compensation. Sheriffs are the only people who can physically evict a tenant. A tenant screening background check may not be required by Landlord Tenant Laws in Colorado. However, the American Apartment Owners Association as well as other national and local organizations highly recommend properly screening your tenant. To learn more about Colorado Tenant Screening Background Checks click here. All states require a variety of forms to rent an apartment to a tenant and Colorado is no exception. Check out American Apartment Owners Association’s Colorado Landlord Forms now. Looking for landlord tenant laws outside of Colorado? The American Apartment Owners Association offers helpful landlord tenant laws for all 50 states. Click on any of the states listed below and go directly to its landlord tenant law page. To visit the homepage of landlord tenant laws, click here. To find information regarding these and other laws in Colorado, visit the Colorado State Court System. For more information regarding the landlord and tenant laws, visit the U.S. Department of Housing. For information regarding codes specific to the Denver area, view the Denver Housing Codes.